As I’ve made abundantly clear over the years, I LOVE basset hounds. Due to my floppy-eared fascination, I’m always on the look out for basset hound holiday decor, and boy do I adore this ornament. 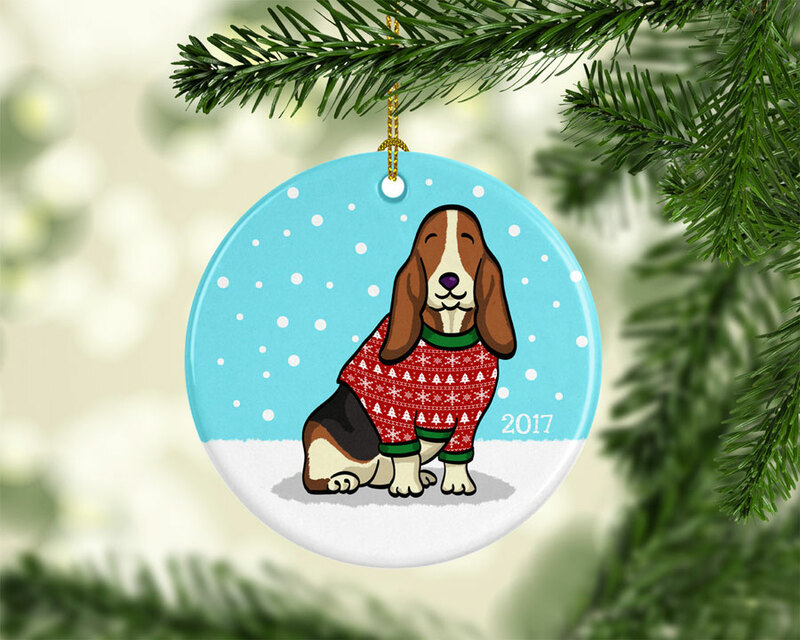 The porcelain ornament features an original illustration of a rather happy basset looking adorable in his ugly Christmas sweater. Too cute! 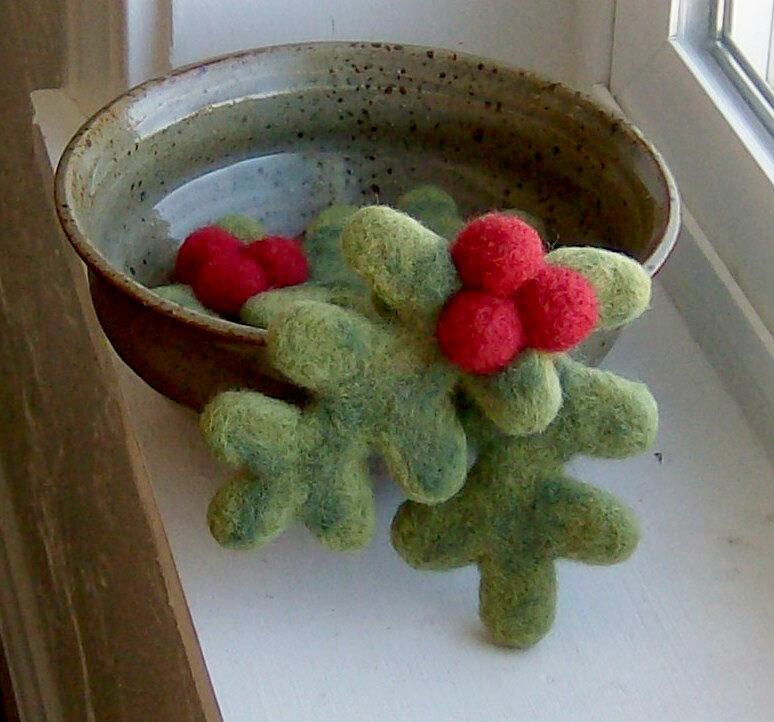 Add some festive fuzziness to your coat, scarf, or purse with this felted holly berry brooch. This sweet and squishy brooch is dry needle felted by hand using wool in bright red and various greens. If you adore this but aren’t one for wearing brooches, you could always attach it to one of SNEAL Made’s gorgeous felted wool bowls. After the winter, simply remove the pin [or swap it out with a different one!] and keep the bowl out year round. Glad Lucia! Today is St. Lucia’s Day in Scandinavia and elsewhere. On this holiday, folks in Sweden eat lussekatter, which are delicious saffron buns. 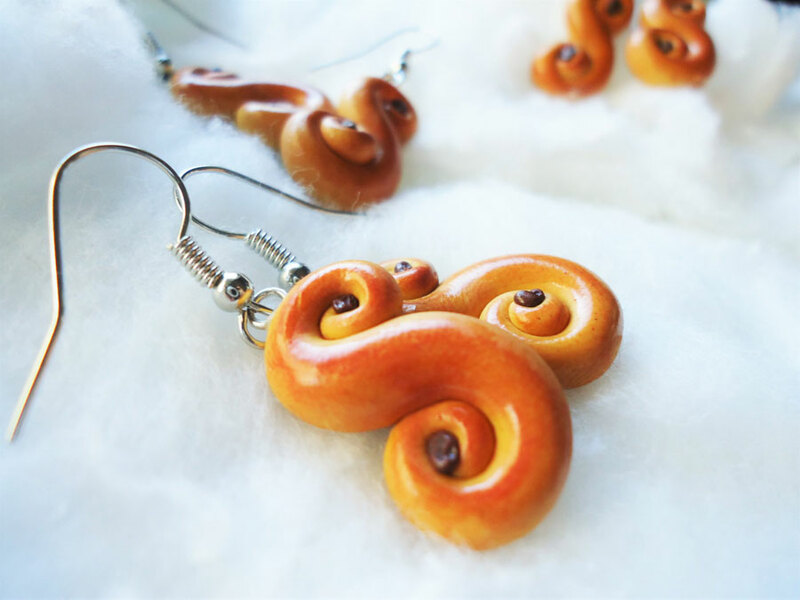 If you—like me—adore these swirly buns, then you’ll simply love these lussekatter earrings. Handmade with polymer clay, these wee buns would the perfect accessory on Luciadagen or any other day during the holiday season!